Altai (Russie) : Birthplace of Native Americans? Is This Russian Landscape the Birthplace of Native Americans? Native Americans originated from a small mountainous region in southern Siberia, new genetic research shows. The work is the most targeted study yet to suggest a genetic "homeland" for North America's indigenous peoples, according to the authors. 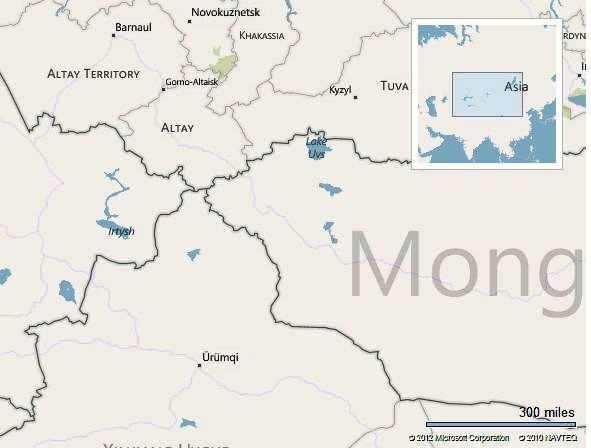 New DNA analysis of ethnic groups living in the Altay Mountains (see map)revealed a unique genetic mutation that also occurs in modern-day northern Native Americans. A possible link between Siberians and Native Americans is an "age-old question" that was first raised by European explorers in the New World, said study leader Theodore Schurr, an anthropologist at the University of Pennsylvania in Philadelphia. That's because some of those early explorers had also been to Asia, and they noticed physical similarities between the two populations. Now the new genetic data has "allowed us to identify more precisely the founding types of these [Siberian] lineages that are present in North America," Schurr said. Between 1991 and 2003, Schurr and colleagues—including Ludmila Osipova of Russia's Institute of Cytology and Genetics—traveled to ethnic villages in the Altay region to collect genetic samples. With its plentiful natural resources, Altay "has been a place hospitable to human populations for quite some time," Schurr said, extending as far back as the age of the Neanderthals. The scientists received written consent to take DNA samples from nearly 500 people, many of whom were living in remote areas and had never met Americans. As part of ongoing genetic research, the team had previously taken samples from close to 2,500 Native Americans in the U.S., Canada, and Mexico. Depending on the location and individual preferences, the researchers collected DNA via cheek swabs, mouthwash samples, or blood samples. In their analyses of Altay and Native American DNA, the scientists focused on two parts of the human genome: mitochondrial DNA, which is passed down through mothers, and the Y chromosome, which is passed down through fathers. In the case of the Altay people, the scientists found a mutation in one paternal lineage that arose about 18,000 years ago—a genetic marker that's also found in modern-day Native Americans. The finding dovetails with previous studies, including some by Schurr, that found a shared mutation in the two groups' mtDNA, one that arose around the same time as the newfound Y chromosome mutation. This time line also fits with other genetic research showing that the first Altay populations began to leave for North America about 15,000 years ago, most likely reaching the continent via the now submerged Beringia land bridge. Native American Ancestry Hard to Pinpoint? According to anthropologist Connie Mulligan, the new paper—to be published in the February 10 issue of the American Journal of Human Genetics—offers the most detailed genetic picture yet of ethnic Altay peoples. Yet she thinks Shurr is "a little overly specific" in saying that Native Americans' founding DNA comes from the Altay region. "I would broaden [that] to say [it's] that general region of central East Asia," said Mulligan, of the University of Florida in Gainesville. 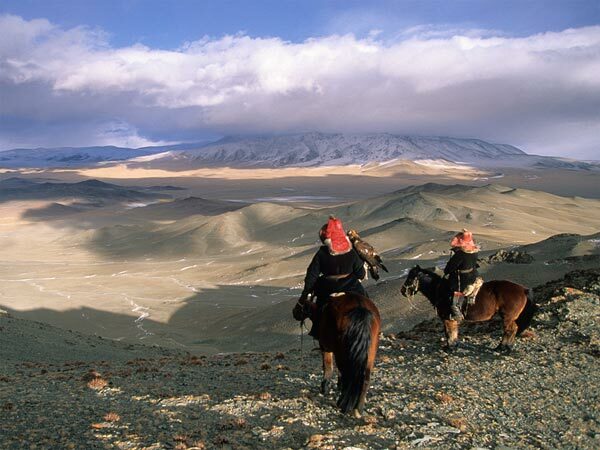 That's because the mitochondrial and Y chromosome mutations that Schurr identified are also found together elsewhere in Asia, for instance, in China and Mongolia, she said. The bottom line is that it's important to keep other Asian "populations in the running, and [it] means we should do dating studies on those populations as well," Mulligan said. Stephen Zegura, a professor emeritus of anthropology at the University of Arizona in Tucson, thinks Schurr and colleagues have a strong case for pinpointing Altay. But he added that, ultimately, it'll be difficult to tease out exactly how the New World was peopled. "We don't have definitive information, like remains of people from the Beringia land bridge with ancient DNA," he said. "This is one of the problems—we have hypotheses, but we don't have strong confirmation." The University of Florida's Mulligan agreed that piecing together human migration patterns can be complex. But one thing's for sure: The research so far "fits our picture of people being creative, adaptable beings—and that's most likely how we were able to colonize the whole planet."